Canadian medical cannabis producers Aphria Inc. (NYSE: APHA), Aurora Cannabis Inc. (NYSE: ACB), and Wayland Group Corp (OTC: MRRCF) said they've been selected by the German Federal Institute for Drugs and Medical Devices to cultivate and distribute medical marijuana. Aurora, Aphria and Wayland Group are the three winners of the public tender to cultivate and distribute medical marijuana in Germany. The cannabis will be sold to the German government and supplied to wholesalers that will distribute it to pharmacies. Aurora said it was awarded the maximum number of five of the 13 lots of the tender over a period of four years and a minimum supply of 4,000 kilograms in total. Aphria's German subsidiary Aphria Deutschland GmbH also received five lots. Wayland Group will be operating in the country through its joint venture DEMECAN. The three companies were selected from a pool of 79 participants that were required to submit a concept for domestic cannabis production, delivery and pricing. Germany is expected to become one of the largest cannabis markets in Europe. In their recent report on the European cannabis market, Prohibition Partners estimated the medical cannabis market alone could reach 7.7 billion euros ($8.64 billion) by 2028 from 133 million euros in 2018. If recreational cannabis is included in the estimate, the value jumps to 16.2 billion euros. Yet recreational legalization is not expected for at least another three years. 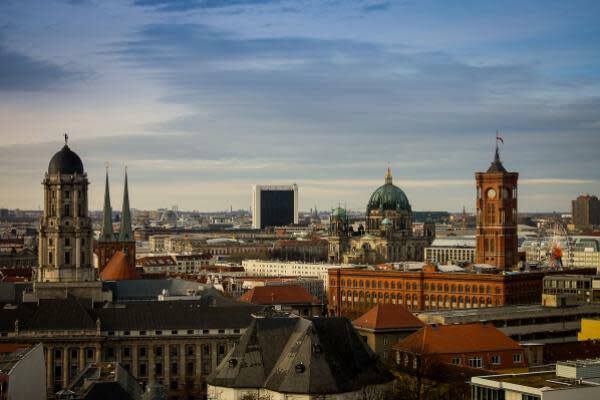 With awarding Aurora, Aphria and Wayland Group's DEMECAN the option to build production facilities in Germany, the country is taking a step forward in addressing medical cannabis needs in a market that has about 40,000 patients. Until now, the country had been importing medical marijuana since its legalization in 2017. The licenses are subject to a mandatory 10-day standstill period for public contracts, but should be formalized no earlier than April 17. Aurora said it plans to build an EU- and GMP-compliant indoor cultivation facility at the industrial park in Leuna, Saxony-Anhalt, near Leipzig.